I'll take you to Wat Rong Khun or the White Temple, Chiang Rai's Buddhist masterpiece crafted by a Thai National Artist who was born in this Northern city. The temple is created to resemble heaven. For lunch, we'll have Northern fare and other delicious dishes made with homegrown ingredients. Actually, the name of this farm restaurant translates to Heaven on Earth and it sure lives up to its name. 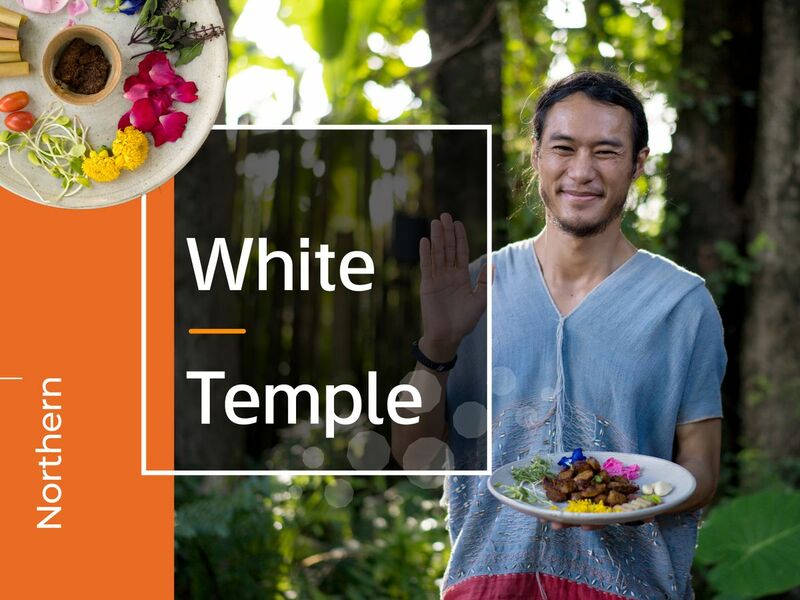 Arrive at our first heaven, the White Temple and enjoy the magnificent architecture and interior design there. Have lunch at the second heaven. You'll definitely love both the food and the atmosphere. It's the most famous place in Chiang Rai. It's built by a native artist named Chalermchai Kositpipat. He dedicated his life to visual art and this temple built on his own resource. There is no other places like this Temple. The technique and style are both exclusive!